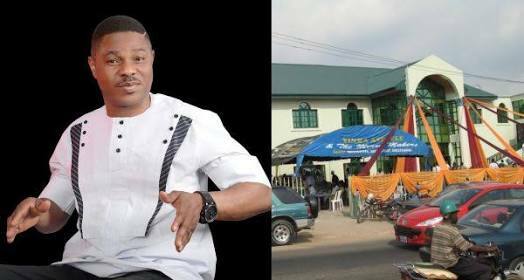 Yinka Ayefele's Music House Being Reconstructed By Govt. Oyo State Government has fulfilled its promise to reconstruct Yinka Ayefele’s Music House, Fresh FM, which was demolished on August 19, 2018, following serious backlash. The city of Ibadan was full of emotion; anger and pity. Sympathizers thronged the site and tears flowed freely as many people wondered what Yinka Ayefele had done to deserve such disaster on the day of the demolition. The Governor Ajimobi led APC government has taken up the responsibility to rebuild the same structure it demolished for "violating state laws". Bounce News visited Ibadan again and met construction workers at the place even late into Saturday evening. It was gathered that they have a deadline to ensure that the building gets its look back by December 2018.